Jill DeWit: Jill and Steven here. Steven Butala: Take it away, Jill. Steven Butala: I’m Steven Jack Butala broadcasting from Lake Tahoe, Nevada. Jill DeWit: Yay. Today, Steven and I talk about Planning for Retirement: Working the Numbers Backwards. Jill DeWit: This is show want 752. Amazing. Steven Butala: Spoiler alert. We’re going to talk about math. We’re going to say things like this, “Well, I need five million bucks to retire, so I don’t have to work anymore.” We’re going to divide by 12. $166,000 a month, and then divide by … No, it’s a math situation. Jill DeWit: Am I going to need a notepad and a calculator for this? Steven Butala: This is 35,000 foot discussion. This is the fun stuff. Steven Butala: There’s no hard work here. Jill DeWit: All right. 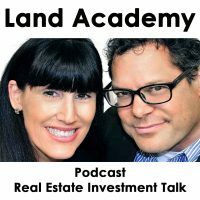 Well, this is all part of this whole topic this week, which is: Your Real Estate Investment Career. Before we get into it, let’s take a question posted by one of our members on the LandAcademy.com online community. It’s free. Steven Butala: Luke asks, “Have any of you used a property tax reduction service? If so, which one would you recommend?” This is a great question, Luke. Probably Luke Smith, right? Steven Butala: Here’s the deal. All over the country … and there’s different laws in every state, and sometimes there’s municipal laws, where you are allowed to and usually encouraged by the people at the county to contest your property tax bill. It doesn’t happen too much for the rural vacant land, because literally the property taxes are $10 a year or 20, or even a couple thousand, which is really no big deal. I’ll tell you, on a primary residence, let’s say in California, you can actually go before a judge and say, “Look, I just don’t think that this increase in my property taxes is justified, and here’s why.” The numbers are staggeringly in your favor. My parents, my mother specifically, did this every single year from like 1980 on. She got to know the judge literally, because there was a real small community in a suburb in Michigan. She won every single time. They became friends. Jill DeWit: Well, let’s be honest. They often don’t know, and I think you’re right, I think that they encourage and appreciate you coming to them and you have do your homework, have to have comps in the area, really showing that, “Here’s why I think my house is only worth X. This one two doors down sold for this. This one across the street sold for that. This is why I would really like you to please revisit the assessment value here, and let’s get these numbers back in line.” If you have some good comps, there’s nothing they can say. Jill DeWit: It’s funny how many people, A, don’t know you can do that. Jill DeWit: And, B, don’t take the time to do that. I have to tell you, I honestly … I’m going to admit this. I didn’t know that there was a service that I could give properties to, and they would do this for me. I think this is brilliant. It makes me think of, right now, stuff we’re doing with House Academy. I’m talking to house investors in the Phoenix/Scottsdale/Mesa area who own 10, 20, 100 rental properties. If I were them, I would be doing this every single year. I would be having the service for all of my 100 rental properties getting those property taxes as low as possible, because it affects my bottom lines. Even if it’s just … Think about it. Just, gosh, $1,000 off your taxes times 100 houses that one person owns. Ding, ding. That’s a lot of money. Steven Butala: Most of the situations that I’ve seen where this gets contested, what ends up happening is the property taxes do not go up, but they also don’t go down. Usually what you’re contesting is, “I want my property taxes to stay the same.” Getting a reduction, that’s pretty tough. You’re going to have to really dig in and do some math. What Luke’s saying here is that’s when you really want to use the service. Steven Butala: I think they charge you a percentage of what they save you. I don’t even think you have to … If they don’t succeed, you don’t pay them. Jill DeWit: I think that’s totally fair. Even if it’s 50%, I’m in. Jill DeWit: You know what? Because, it’s better than what I would have done before, which is zero. Steven Butala: Yeah, I agree, Jill. I agree. Jill DeWit: If you get some money off mine, then more power to you. That’s great. Steven Butala: Here’s what else is shocking about this. It always shocks me. I don’t know why. The people at the county, they want you to win. Steven Butala: A month ago, Jill and I were checking out … We bought a bunch of stuff at Target, because Jill likes it, because it’s for women. Steven Butala: It’s so expensive. I hate going in there. Steven Butala: We’re checking out and the checkout lady says, “Look …” because, I slapped my debit card in the thing, and put in my PIN. She said, “Do you have a check?” I said, “No, it’s not 1967. I don’t have a check.” In fact, I don’t even think I have a checkbook with this account. She said, “Okay. Well, take a look at your bill. Here’s your receipt. Congratulations, you were charged $14,” … which is, what, I think 3% of our total … “Congratulations, you spent $14.10 on a debit card fee.” I turned red with anger. Jill DeWit: It’s part of their card. They want you to link up your checking account to their service, or like REDcard, and you get a savings. Steven Butala: I went nuts. Steven Butala: She was like, “Yep, I’m glad you’re going …” She was like, “I tell every single person.” We’ve been going there for years. Guess what? No more. We don’t go to Target anymore. Walmart doesn’t do it. Steven Butala: The grocery store doesn’t do it. Steven Butala: My point is, she was for the people, man. People power. Jill DeWit: … don’t tell Dad you got that at Target. Steven Butala: I would have hugged her if Jill wasn’t there. No, this is a sweet old lady, so I could have hugged her anyway. Jill DeWit: I still go to Target. Steven Butala: But, my point is, that’s the way the people are at the county about taxes. They’re like, “Yeah, man, get it reduced.” I don’t think they can, that’s why. I think there’s a conflict of interest as a county employee. Jill DeWit: No, you have to come forward. It’s a formal process for everything, let’s be honest. They’re not just going to go do the work unless you say something and fill out these papers. Steven Butala: Exactly. Today’s topic, Planning for Retirement: Let’s Work the Numbers Backwards. This is the meat of the show. Every once in a while I sit down, because I’m bored and I really try to avoid work. That’s what this whole podcast is, by the way, is avoiding work. Jill DeWit: Yes. 752 shows later. You’ve avoided work 752 days in a row. Good job. Steven Butala: That’s retirement, actually. Steven Butala: Every once in a while I say … I put together this little equation a lot of years ago, because I was bored. It said, “How much more life do I have? How many more years do I have?” I usually say, “Let’s say I’m going to live until 90,” which is awesome. Jill is going to live to be 180, but I’m probably good for 90, which is X amount of years from now, so let’s just say it’s 30 years from now. I’m not 60 at all, but let’s just say it’s 30 years. How much money do I need to live per month? I have 30 years left. I’m going to just randomly say five million bucks. It’s a lot more for us, because I’m with Jill and we spend some money. Jill DeWit: Come on. I didn’t see you complaining about the view when we checked in yesterday, by the way. Steven Butala: $5 million divided by 30 years … I want to retire tomorrow … equals $166,000 a year … This is after tax money. Let’s not talk about taxes today. Let’s just talk about money … divided by 12, because there’s 12 months to a year. That’s $13,888. Can I set aside for five million bucks today, and then just start … You know what? This isn’t like real estate investment money. There’s a million things we can talk about, “Oh, you should put it in the stock market. Oh, you need a retirement plan. Oh, you need a …” I’m not talking about, I’m talking about good old-fashioned cash in the bank or money in a mattress. You’ve already paid the taxes on it, five million bucks. Can I live on 13,888 bucks a month? The answer is, “Heck yes.” If you can’t live on $13 thousand a month, you need to look in the mirror and ask yourself some questions. Steven Butala: You have a shoe habit, or a sports car habit, or something. Or, a habit of putting the wrong stuff in your body. I don’t know what kind of bad habit you could have that costs $13,000 a month is not enough. Steven Butala: Do you have any? Jill DeWit: Do I have any habits like that? Steven Butala: Yeah, like really terrible habits. Jill DeWit: I don’t know. Do I? Steven Butala: I don’t know. I don’t spend every waking minute with you. Steven Butala: I don’t think I do either. Steven Butala: We are the Jones’s. Steven Butala: Yeah, that’s what I want. Jill DeWit: You know what it is? There’s a mental shift, I think, that some of us have had, and it’s awesome. Where instead of, “How much can I spend?” You become kind of a hoarder of money. Not a hoarder of stuff, a hoarder of money. I check our bank account. I watch … Well, and my role in the company, too, is operations. It’s really keep an eye on this stuff, too, but I have eagle eye on all of our accounts, all of our expenses, everything. Steven Butala: Yeah. Me, too. Steven Butala: It’s so easy now. Steven Butala: You’re the right girl for me. Jill DeWit: Thank you. It’s so silly. Who cares? But, anyway. You buy a piece of property … and yesterday we talked about ranches in Nevada. You buy a property for 100 grand, and you sell it for 200, or even 150. I’ll tell you what, if you sell it for 150 you’re going to get there a lot faster than selling it for 200. Steven Butala: But, I’m going to use round numbers. 200, just we’re going to double our money. How long does it take to buy a piece of property for 100, sell it for 200, now you’ve got two of them. Now, you have 200,000 to work with. Now, you’ve made 400, 800, 1.6, you could do this in a year. Steven Butala: You could generate five million bucks in a year and you’re done, assuming you have 30 years left. Most of us have way more than 30 years. Jill DeWit: What if you even did it in five years? I don’t think that’s bad. Jill DeWit: What if you even did it in 10 years? I don’t think that’s bad. Steven Butala: Well, Jill and I are huge advocates of not quitting your job. So, yeah, take your time. Do it in five years. Don’t quit your job. At the same time … I don’t want to get all Dave Ramsey here … but at the same time, you should get debt free. Jill DeWit: Yeah. That should be number one. Steven Butala: Somebody told me a long time ago … It was actually my next door neighbor. I was just a child … he said, “There is nothing better than saving money.” Saving money is better than making money when you really look at it. Jill DeWit: Right. Cut your expenses. Steven Butala: Keep a car as long as you can. Never buy a new car, all that stuff. Jill DeWit: Well, here’s my … Well, there’s … How do I say this? There’s right ways to do it, and there’s wrong ways to do it is how I see it. You don’t have to keep your car until it’s on its last legs. I’m totally understand that, especially if you’re doing really well. You want to have a nice car, and that’s a little treat. For me, it’s a treat, for me slash however, what I won’t do is finance a car. Save up until you can afford to pay cash for a car. By the way, don’t use, “Now, I have $50,000 in my bank account. I’m going to go buy a $50,000 car.” No. When you have $200,000 in your bank account or more, then you can look at a $50,000 car. You don’t want to bring yourself back down to zero. Don’t ever do that. Jill DeWit: That’s one of the points that I want to make. Then I had a second point about the retirement. You can take your time, be realistic. I know, when Steven said … I want to make sure everybody understands … you bought a property for $100,000. Why is it easier to sell it for 150 than it is for 200,000? Because it sells faster. Steven Butala: Because, it’s cheaper. It’s a better deal for the buyer. Jill DeWit: That’s my point. I want to make sure everybody listening understands that. That’s one of the things that we do and why we get ahead faster. We’re not trying to maximize the revenue so much, as get the deal done quick with a good profit and move on. I can do three really fast, or I can sit and babysit this one and in the end, it doesn’t pay off. That’s the point why you might let something a little bit faster. You got a buyer right now. It’s a good price. Take it. Move on. Steven Butala: Let’s talk about land versus houses in this role. Land, you can’t … It is very possible and happens all the time with our group members. You can hit a home run. You can buy a property for 100 grand, because somebody really needs some money, a property owner. And, sell it for 800,000, because it’s worth 1.6. You can fast track yourself to this if you only concentrate on this property, especially if you have a good job, and your bills are paid, and the whole thing. With houses, you’re removing the possibility, in my opinion, of hitting a home run. But I’ll tell you what, you hit base hits all the time. You buy a property for 350,000 bucks and sell it for 370. Steven Butala: You can do that all day long. There’s no sales issues. Just slap it right in the MLS for a fixed price. You have a crystal ball. So, do both. Steven Butala: Spread it out and diversify. Steven Butala: Well, you’ve done it again. You’ve spent another 15 minutes or so listening to The Land Academy show. Join us tomorrow for another interesting episode, where we discuss Why Recruiting Is Your New Full-Time Job. Congratulations. This is your Real Estate Investment Career week. 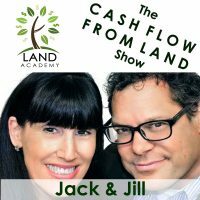 Jill DeWit: And, answer your questions posted on LandInvestors.com, our free online community. Steven Butala: You are not alone in your real estate ambition. Good show, Jill. Steven Butala: Am I too preachy? Steven Butala: You know what? We’re on vacation. I’m happy. That’s what’s going on. Jill DeWit: Do you know what’s so interesting? I’m trying to give good numbers to a variety of people, and I know right now with this week, you’re talking to the top level investors. So, I’m trying to now and then make it appropriate for everyone. Steven Butala: That’s a great point, and I thought about that before I actually wrote all these topics this week. Here’s two things that have happened. The last three weeks the themes were: So, You’ve Sold 100 Properties. Now What? So, You Sold 1,000 Properties. Now What? So, You’ve Sold 10,000. The numbers of listeners literally doubled. Here’s what I think. Even if you’re brand new as a listener, you aspire to be the person who’s done 10,000 deals, or you aspire to do … somebody who is planning for retirement. Jill DeWit: Touche. It’s like playing a sport. Jill DeWit: You’re going to play up to that better team. Jill DeWit: If you’re playing the worst team, you find yourself playing down to that team. Steven Butala: Like marrying up. Jill DeWit: That’s it. Marrying up. We should have a week on that. Steven Butala: Who married up? Steven Butala: I know, that’s what I mean. Someone has to lose. It’s a zero sum game. In a marriage, only one person can marry up. Steven Butala: So, somebody’s a loser. Jill DeWit: Only one person can marry up. You both don’t get to. Oh, no. This is awful. Oh, boy. We need to cut this right here. Share the fun by subscribing on iTunes or wherever you are listening. While you’re at it, please rate us there. We are Steve and Jill.